La Cave a Fromage's award-winning cornerstone, a semi-hard British cheese. Calling all London cheese-lovers — this may just be the round-up of your dairy dreams. There's been a sharp rise in cheesemaking in London in recent years, from students experimenting with recipes for paneer and labneh in their bedsits, to small commercial enterprises making and selling cheese. Cheesemaking kits appeared all over the city, seemingly overnight. You may have already heard about the Mexican cheeses made by Gringa Dairy under the railway arches in Peckham, but there are other London cheesemakers too. Bermondsey’s Kappacasein, Tottenham’s Wildes Cheese and Blackwoods, based in Brockley, all make unique cheeses with a story to tell. Cypriot-English Kupros Dairy near Enfield specialises in sheep’s milk cheese. Here we’ve rounded up London’s best cheesemongers, plus cheese restaurants, menus, street food stalls, trolleys and cheeseboards. We’ll tell you about where you can learn to make cheese, too, and the dairy that you can visit. London’s cheese shops are among the best in the world. Not only do they sell carefully sourced British and European cheeses, but also delicious pickles, chutneys, crackers, fresh breads, wines and, often, speciality produce. They’re great places of conviviality too, encouraging you to taste, learn and share. Additionally, the staff are among the most knowledgeable and passionate foodies that we’ve ever encountered — you really do need to be a curd nerd to work in this industry. British cheeseboard at La Fromagerie with chilcote, turnworth, Cornish yarg, rollright and stichelton cheeses. Revered cheese expert Patricia Michelson’s famous shops in Marylebone, Highbury and Bloomsbury boast walk-in cheese rooms and maturing cellars. From a vast selection of farmhouse cheeses from around UK, Europe and America, try unpasteurised goat’s milk chilcote from Staffordshire; or rollright — a cow's milk cheese from Oxfordshire that has a salmon-pink rind and a smooth texture. All three shops have cafes that serve a daily-changing menu of cheese dishes, including perfectly balanced cheeseboards. They also host excellent events, including tastings of seasonal cheeses, talks and, heaven of heavens, Fondue Fridays. The Marylebone branch is our favourite place to buy hard-to-find ingredients, such as fennel pollen, French violet syrup and rare heirloom beans. Paxton & Whitfield's historic St James shop. 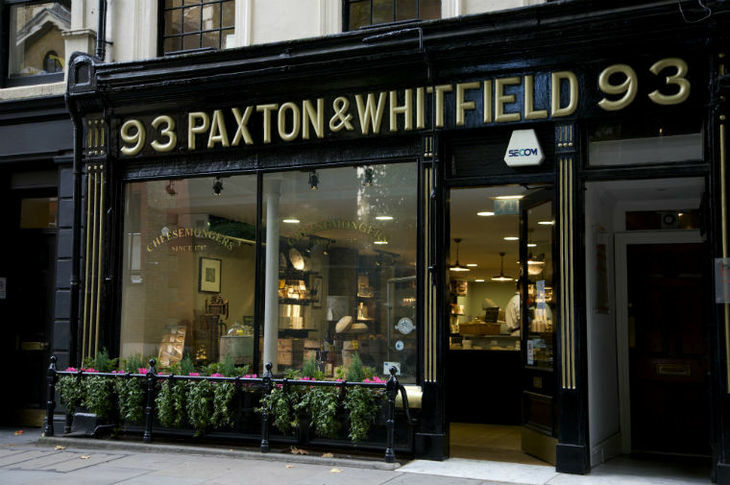 Established for more than 200 years, the Jermyn Street branch of Paxton & Whitfield is one of London’s most iconic shops. It’s beloved of both royalty and fromage-forward Londoners, who’ve made their English stilton, cave-aged cheddar and brie runaway bestsellers. If you’re feeling more adventurous, though, there’s delicious eve — a goat’s milk cheese from the West Country that’s washed with cider brandy and wrapped in a vine leaf. Plus ash-and-sea-salt-coated pyramid-shaped cerney. There’s a particularly wonderful selection of cheese hampers and accessories, including fondue sets and raclette grills. Their Chelsea branch began life as a mere pop-up, but their artisan cheeses proved too big a hit and it soon became permanent. Rhuaridh Buchanan’s cosy Marble Arch shop is award-winning, yet remains modest in its display. The shop's notable because, although they have a large selection, they only display around 25 cheeses so as to not overwhelm customers. They buy off-the-beaten-track varieties from around UK and Europe and age them in temperature-controlled maturing rooms in their cellar. They’ve also launched a cheese school where you can learn about hard, soft, blue and washed rind cheeses; plus popular masterclasses in matching cheeses with wines, beers and champagnes. Buchanan's cheese selection including mimolette. ragstone, Cropwell Bishop stilton and epoisses. 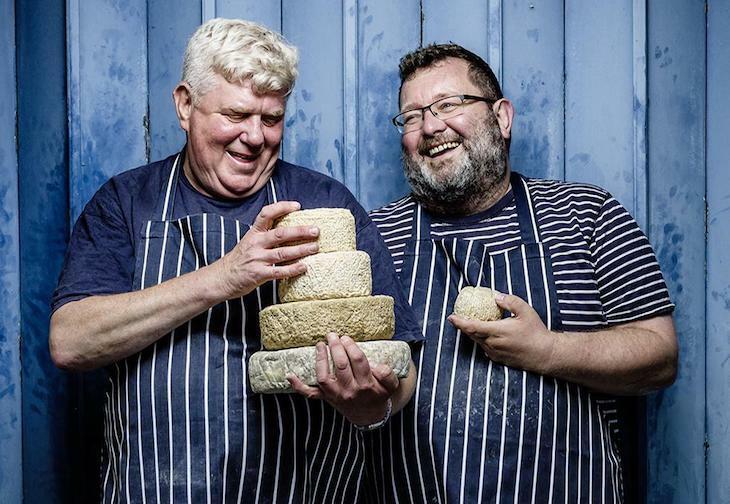 Renowned cheese personality Randolph Hodgson’s cheese shops sell a regularly-changing selection of British and Irish cheeses from around 40 artisan producers. There’s a particularly strong choice of classics such as cotherstone, Isle of Mull cheddar and crozier blue. Tasting is encouraged; and regular cheesy events are also held, including seminars on the science of taste, fermentation, and cheese and wine pairing. 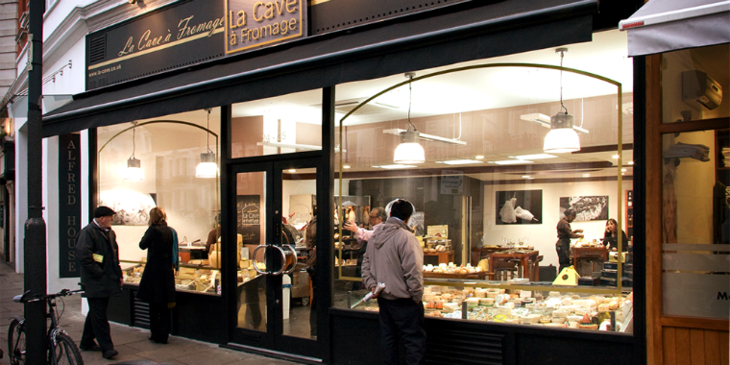 La Cave A Fromage's South Kensington branch has been voted as one of the best cheese shops in the world. 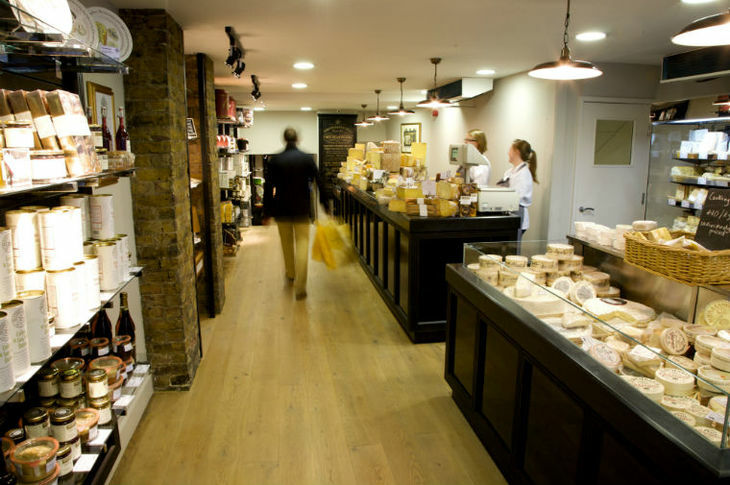 The original South Kensington branch of this UK and European cheesemonger has previously been voted among the world’s 10 best cheese shops by the Daily Telegraph. Opened in 2007 by Eric Charriaux and Amnon Paldi, the compact store sells mostly French and British cheeses. Try their sweet, smoky tomme brulee or unctuous chevrotin des aravis, or enjoy one of the reasonably priced cheeses platters in their small seating area. 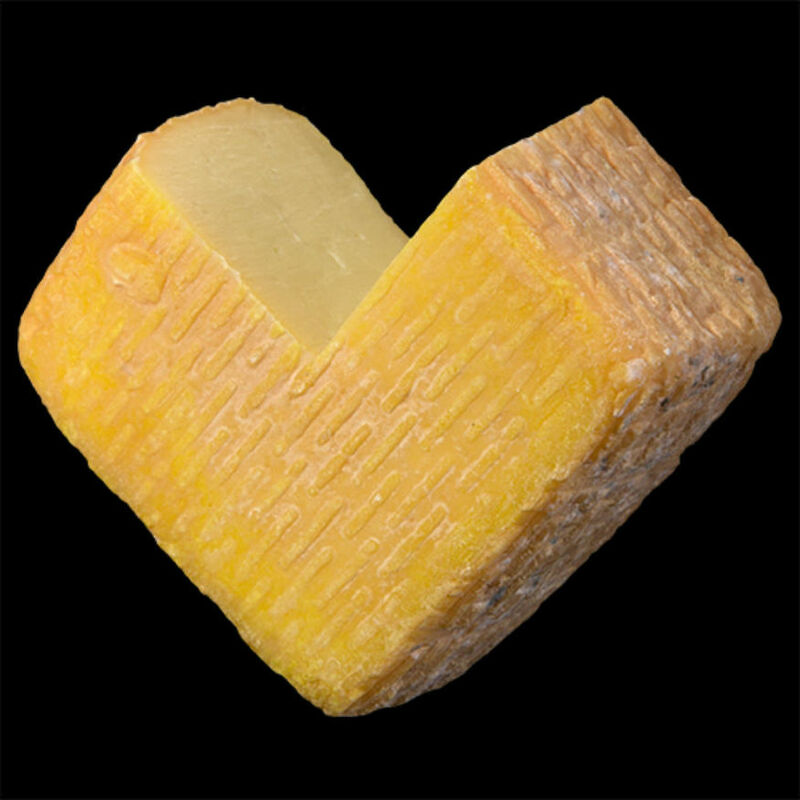 They also mature a number of cheeses, such as silver award-winning semi-hard British cheese cornerstone. They host a huge variety of events, including tastings of seasonal and speciality cheeses, and cheese and wine matching. La Cave a Fromage Kensington, 24-25 Cromwell Place, SW7 2LD. 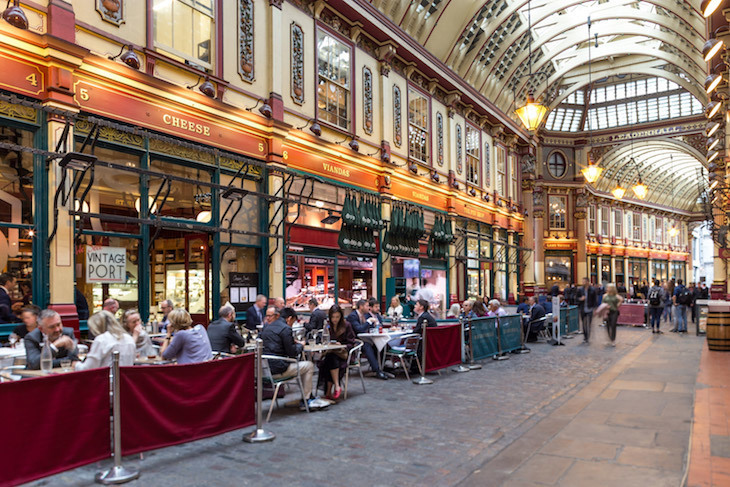 This Leadenhall Market cheesemonger sources cheeses from around Britain and Europe, has a lovely cheese cafe, and runs cheese 'tours' (tastings) and other events. A tiny cheesemonger in Camden Passage, this place sells British artisanal cheeses and hot cheese toasties. At the weekends, you can sit down for a cheeseboard and a glass of wine in their first floor Parlour. Second branch in Liverpool Road, also in Islington. 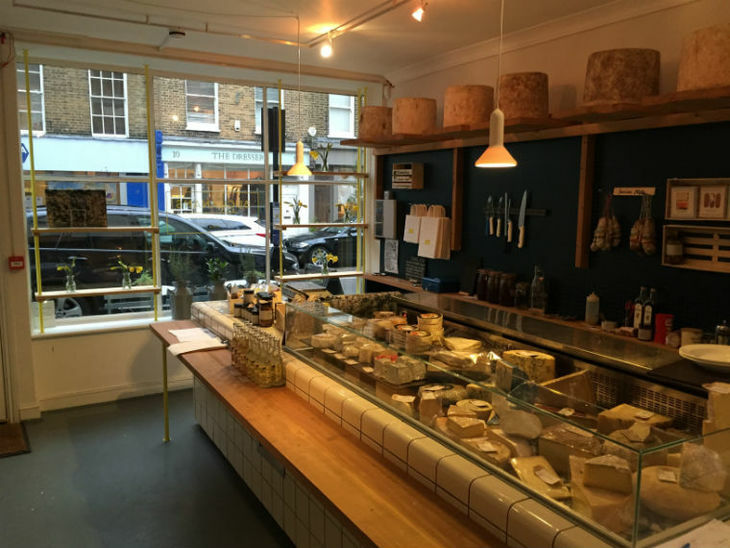 Established for 25 years, this Battersea shop sells well-sourced British, French, Italian and Spanish cheeses. Selling over 150 artisan cheeses, this popular Greenwich shop also sells cheese wedding cakes. Great for expert cheeseboards and fromage newbies alike, thanks to friendly, knowledgable staff and an excellent international selection of cheeses. This Victoria shop sells an astonishing range of up to 500 cheeses from around Europe, mostly UK and France. You’ll have difficulty choosing from the huge selection of cheeses at this East Dulwich shop, but you can taste before you buy. London's first vegan cheesemonger has been making waves thanks to its fight with big dairy. Ignoring the media palaver, it's the best spot in London to get increasingly popular non-dairy cheese. Forget burgers and baozi: good old-fashioned macaroni cheese was recently reported to be the fastest-growing restaurant item on UK menus. Here we’ve highlighted the best cheese restaurants to eat not only macaroni cheese, but also fondues, raclettes, tartiflettes, baked cheeses, toasties, and poutines to your heart’s content. This respected cheesemonger and 'cheese bar' in Spitalfields sells independently-farmed cheeses from across the UK, France and Europe. On the bar's menu you’ll find delicious fondues, raclettes, cheese boards, freshly made cheese-stuffed pastas, cheese baguettes, cheesecakes — and even cheese ice cream. Combining two of our favourite things, this shop-bistro serves a rustic menu of French soft and hard cheeses paired with grower champagnes. The brand is a marriage of two different companies, FrenchBubbles and Une Normande a Londres, each specialising in artisan fizz and fromage from small producers. Choose from cheeseboards, tartines, fondues, tartiflettes, oven-baked cheeses, quiches, and cheese salads with champagne dressings. The Covent Garden branch’s champagne bar also runs bubbles-and-cheese events. Believed to be the world’s first mozzarella bar, this casual Neapolitan chain has several branches around the world. Their entire menu is based on Mozzarella di Bufala Campana; and this top-quality water buffalo milk cheese is sourced from approved farms and dairies in southern Italy. Three varieties are used: delicate, intense and smoked, all of which have been produced up to 48 hours before being served. They’re paired with small plates and added to pizzas, pastas, soups, salads and cheesecakes. Every single dish on offer at this Camden restaurant is centred around cheese, says Londonist writer Ruth Hargreaves. And not just any cheese, it's all British-made cheese. From London burrata to blue cheese raclette, fondues to five cheese macaroni, everyone tucks in to their chosen dishes around a central bar. Don't miss their renowned toasties. London’s oldest Swiss restaurant, this classic is THE place to go to if you fancy a fondue. There’s a great variety to choose from; plus raclettes and other traditional cheese dishes such as spaetzle pasta, gratins, and a Swiss cheese platter. Inside Paxton & Whitfield's St James branch. Both branches of this South African steak and wine restaurant take cheese very seriously. 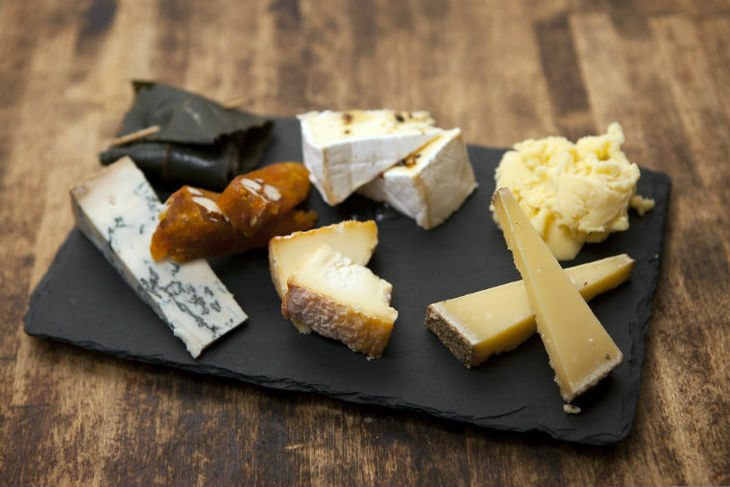 They offer a number of cheese boards with a choice of 40 seasonal cheeses from Britain, France, Italy, Spain and Switzerland; plus walk-in cheese rooms for a full-on ‘cheese experience’. Soho’s American-style grilled cheese sandwich shop has a wonderful selection, including breakfast melts, sweet varieties, and essential sides such as truffle cheesy fries. Specialising in grilled cheese sandwiches, this popular truck is always in demand at UK and international festivals. It can be found at Maltby Street at weekends — check the website for other appearances. They use British cheeses for imaginative sandwiches such as goat’s cheese, honey, walnuts and rosemary butter; plus 'fondue fries' and stilton and dark chocolate brownies. These canny folks at Camden Lock Market have based their entire menu on one of London’s most popular dishes: mac and cheese. You’ll find it sprinkled with Cajun spices, drizzled with truffle oil or punctuated with fire-roasted peppers, and topped with parmesan, thyme and sourdough crumbs. If the trend for poutine — the Canadian dish of cheese curds with chips and gravy — has passed you by, here’s your chance to sample a good version. Check the Twitter feed for details of where to find the stall. La Cave A Fromage's platter of six different cheeses available daily in their tasting cafe. Sadly, the cheese trolley — once ubiquitous in smart British and French restaurants — is now an endangered species. But we’ve tracked down a few places where you can still tuck into your fromage with a sense of ceremony, as well as restaurants with exceptional cheeseboards. You’ll find classic and contemporary cheese trolleys at Michelin-starred The Square, smart restaurants The Orrery and The Glasshouse, and Jason Atherton’s City Social. Alain Ducasse at The Dorchester offers both an English stilton trolley and a French cheese board. The tastiest and most generous cheeseboards and cheese platters can be found at top British restaurants Chez Bruce, Rules, and Pollen Street Social. 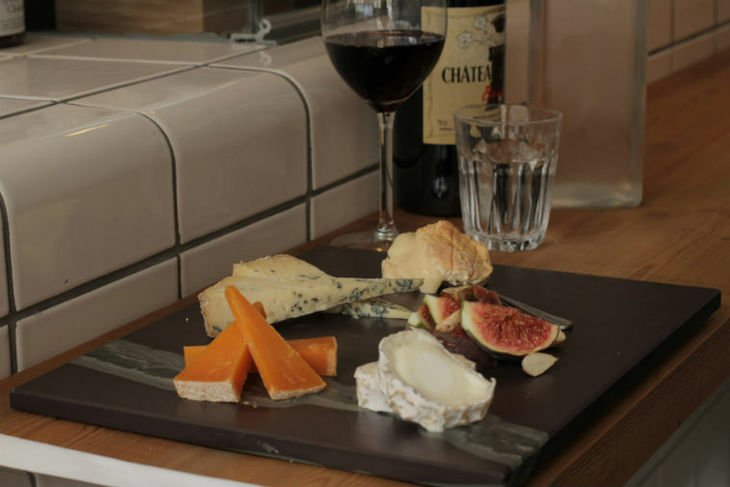 Wine bars such as Cork & Bottle (very retro, and a firm favourite), Gordon’s, Terroirs and Boyds have a wide selection of cheeses, cheese platters and cheeseboards. The team behind Wildes Cheese. 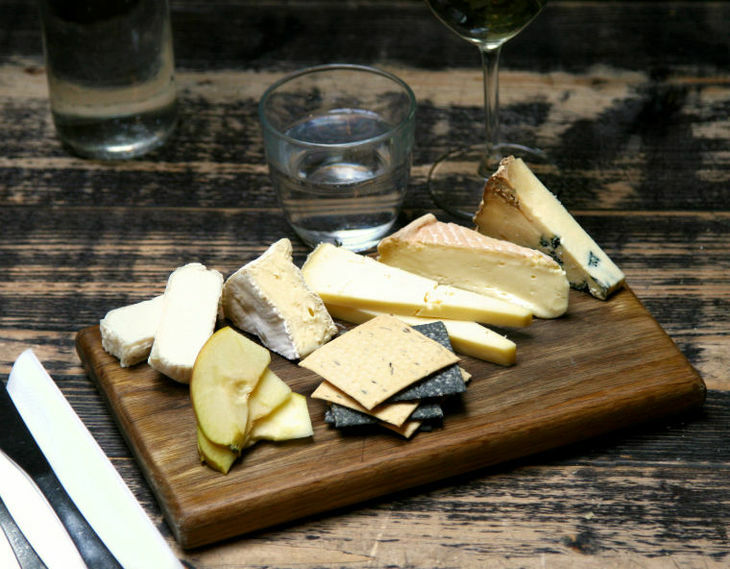 There's no shortage of tutored cheese tastings and cheese and wine pairing evenings. Here we’ve highlighted courses where you can learn how to make your own cheese. Held at their micro dairy in Tottenham, this esteemed London cheesemaker gives a rare chance to learn directly from professionals who make cheese. There are acclaimed one-day and afternoon/evening courses, with a mixture of theory and practice. During the full-day course, you’ll learn how to make three varieties of cheese and take home cheese-making ingredients. Cheese professional Louise Talbot's four-hour class is a mixture of demonstration and hands-on experience. You’ll learn to make halloumi, mozzarella, mascarpone and butter using raw milk and vegetarian rennet. The theory behind cheese making is explained; and cheese-making kits are available to purchase. Wildes Cheese offers you a chance to look around when you sign up for a class; and you can visit Gringa Dairy by appointment. But to the best of our knowledge, there’s currently only one dairy that allows free and easy access. The much-loved Kappacasein cheesemaker gives a rare opportunity to visit a London cheese dairy. It’s located near Bermondsey, where they make cheeses from raw, organic cow’s milk collected from the Bore Place organic farm in Kent. You can pop in and have a look around on Saturday mornings, and taste and buy distinctly local cheeses such as Bermondsey friar and spa lactic. At their stall in nearby Borough Market, they sell legendary cheese toasties — one of the capital’s most iconic dishes that’s a firm favourite of food writers, chefs and celebrities. You can find out more about it here.